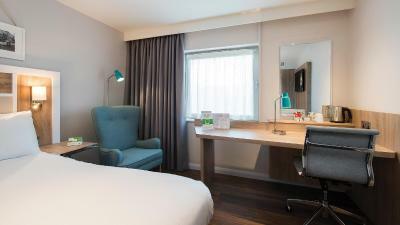 Lock in a great price for Holiday Inn London-Shepperton - rated 8.4 by recent guests. I have reviewed this property many times, and it is excellent as always. The hotel is perfectly situated. No main road or noise to worry about. The room was a good size, clean and had everything one needed for a few days stay. Plenty of parking I’m site. The leisure facilities were very good. The reception staff both on the front desk and leisure area were welcoming and very friendly. we were there for a wedding venue, so only one night, but, the room was excellent, very warm and clean, large flat screen tv, large bed with one soft side and one firm side, so both of us were happy, the breakfast that came with our booking had everything that anybody could want for breakfast, the food was hot and the service was great. 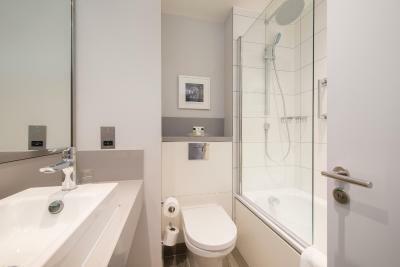 All the bedrooms have their own bathroom with a shower, a bath, a hairdryer and free toiletries. Other facilities include tea/coffee, irons and work desks. Some rooms have bathrobes and slippers. 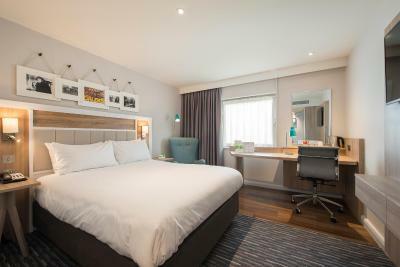 The leisure centre at Holiday Inn Shepperton includes an indoor heated Swimming Pool, fully equipped gym, hot tub, steam room, various fitness classes and beauty treatment rooms. The Regatta Restaurant / Lounge and Bar offers an informal place to meet and eat throughout the day. A full English breakfast is available every morning. This property is also rated for the best value in Shepperton! Guests are getting more for their money when compared to other properties in this city. 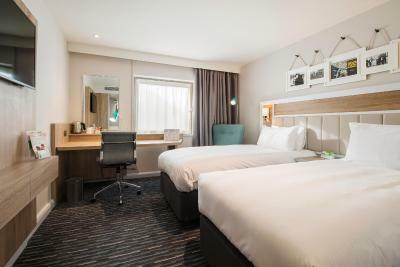 Holiday Inn London-Shepperton has been welcoming Booking.com guests since 1 Aug 2005. 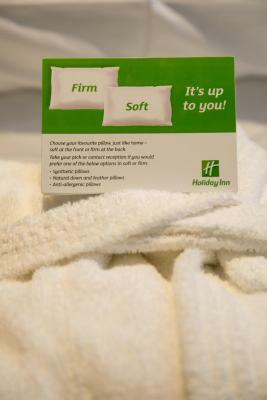 When would you like to stay at Holiday Inn London-Shepperton? Decorated in cream and blue tones this room offers a choice of pay movies and satellite TV channels, complimentary tea and coffee and also Wi-Fi access (at extra cost). This double room has a tea/coffee maker, CD player and bathrobe. Allocation of room type on arrival. This comfortable, air-conditioned room features satellite TV, tea and coffee making facilities and an en suite bathroom with hairdryer. 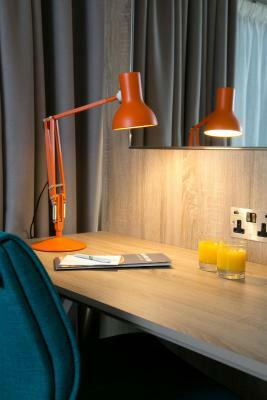 House rules Holiday Inn London-Shepperton takes special requests - add in the next step! Holiday Inn London-Shepperton accepts these cards and reserves the right to temporarily hold an amount prior to arrival. 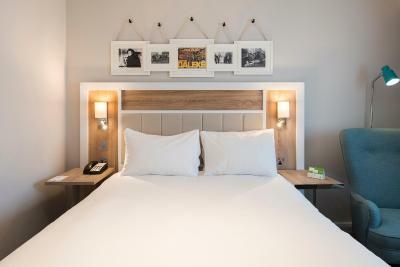 Children sharing a room with their parents stay and eat for free when their parents dine at the hotel. Guest coming with children to the hotel should advise the hotel for adequate accommodation. We originally booked this hotel for the pool, but had limited access to it due to local swim sessions both in the evening as well as the morning. So really think this should be mentioned within the advertisement. I personally reserved this room as last of our holiday so my daughter was looking forward to this portion and it was not fully accessible. So just the k this should be mentioned. I really liked the location, we went for a swim then breakfast and took a leisure walk around the Marena, and looked at the swans it was beautiful! No water in the room. Unfortunately the food wasn’t at its best and over priced for the quality. As for the breakfast £8.50 each was far over priced for a breakfast buffet that really wasn’t at its best after being under a heat lamp for a while. And I had to wait 10 mins for my porridge, although when it did turn up it was very nice. everything was great, so nothing that we didnt like. TWO MORNINGS THERE WAS NO CUPS AND SIDE PLATES FOR BREAKFAST AT ALL., SO WE HAD TO HAVE OUR COFFEE OUT OF A PAPER CUP ANOTHER MORNING THERE WAS NO WATER SO WE ASKED FOR A GLASS AND GOT LUKE WARM TAP WATER.THE CLEANER IN OUR ROOM DID NOT EMPTY THE BIN SHE JUST PUT ANOTHER BIN LINER ON TOP. We booked a twin room, but it was still made as a double. House keeping came in to change the beds, but she spoke little English, and we just had to, stand in the room while she did everything. The rooms are too small to have 2 people standing in while beds are changed. If I had a bit more notice of when it would be done I could have arranged to be out of the room. Or maybe just maybe the room coukd have been made ready as our booking before we arrived. Sadly as much as it is obvious that you have invested thousands in renovating the rooms, it was sad that the paint was peeling badly in the bathroom, caused mainly I would guess by the combination of wonderful shower, and the pathetic extractor fan. It was a real shame that these large patches of peeling paint took away from the money you have invested. Breakfast was a mess. We ordered it for our room, and it arrived 45 minutes late. I understand these things happen, but could someone not have let us know. I was told by someone else staying that breakfast had been a complete mess that morning for those who went down. Considering this is not peak season yet, it seems a shame especially with what you charge. The hotel was nice, and it was obvious that there had been alot of money put into upgrading the rooms. Great location , staff were very welcoming . the hotel was great BUT just miles away from any thing.